Pearl is a beautiful 50 – 55 lb Dark Yellow, loving pet. She has a strong drive, loves to retrieve and has a staunch point. 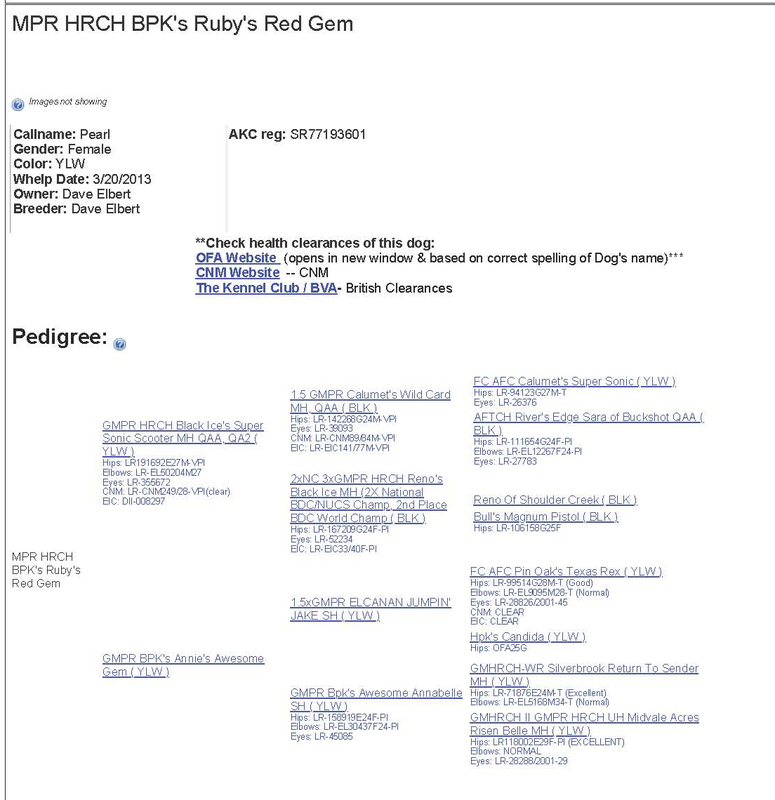 She received her Certified Pointing Retriever, Advanced Pointing Retriever and HRSH titles before she turned 2 years of age. Pearl has a very loving personality and really turns it on when she gets in the field. 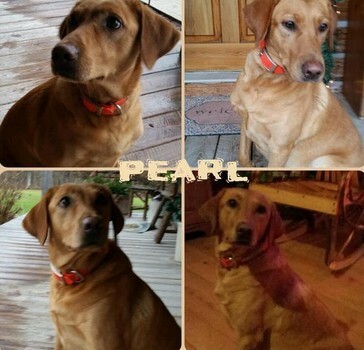 Pearl comes from a long line of Grand Master Pointing Retrievers and Field Trial Champs.